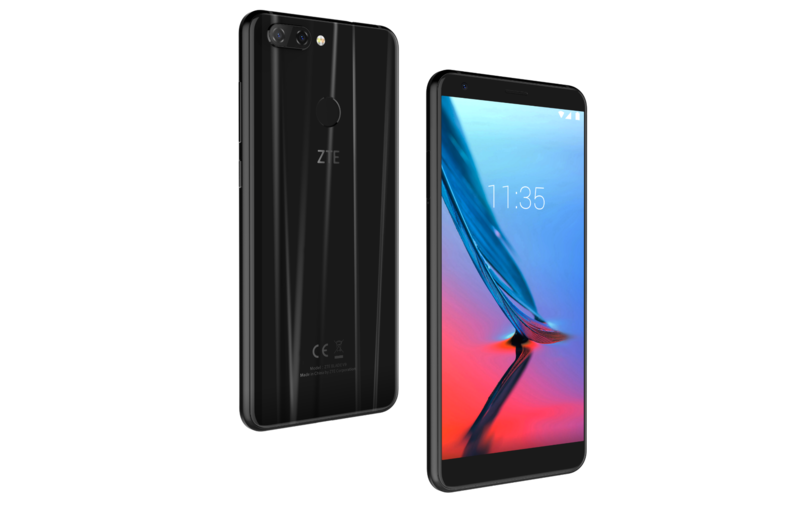 ZTE on Sunday added a pair of smartphones to its Blade portfolio of devices. The Blade V9, and its counterpart, the Blade V9 Vita, are mid-range hardware but in a more current design that’s more in line with other 2018 handsets. The pair of phones run Android 8.0 Oreo and share a number of basic specifications with each other. Each has an 18:9 aspect ratio for the display, dual rear cameras, 3.5mm headphone jacks, microUSB, memory card slot, and the usual fare of connectivity. With a 5.7-inch display at 2160 x 1080 pixel resolution, the Blade V9 has an aluminum frame with glass panels on both the front and back. The phone is powered by an octa-core processor and comes in two builds: 2GB RAM with 16GB storage, 4GB RAM with 64GB storage. In terms of cameras, the Blade V9 has a rear combo of 16-megapixel and 5-megapixel shooters; around front is a either an 8-megapixel or 13-megapixel camera. According to ZTE, the cameras boast improved low-light performance and the dual-lens cameras offer better bokeh and portrait images. The front camera supports Faceb detection for unlocking and waking. Other stand-key specs include NFC, fingerprint reader, and a 3,100mAh battery. Slightly smaller with a 5.45-inch display, the variant has a 1440x x720 pixel resolution. Internally we find a Qualcomm Snapdragon 435 processor with 2GB RAM and 16GB storage. Rather than glass and aluminum, the Blade V9 Vita employs polycarbonate for its shell. The back offers up a 13-megapixel and 2-megapixel dual camera configuration; the front has an 8-megapixel selfie camera. In terms of battery, the Blade V9 Vita includes a 3,200mAh power source. The Blade V9 will be sold in black and gold options; the Blade V9 Vita will sell in black, blue, dark blue, and pink. 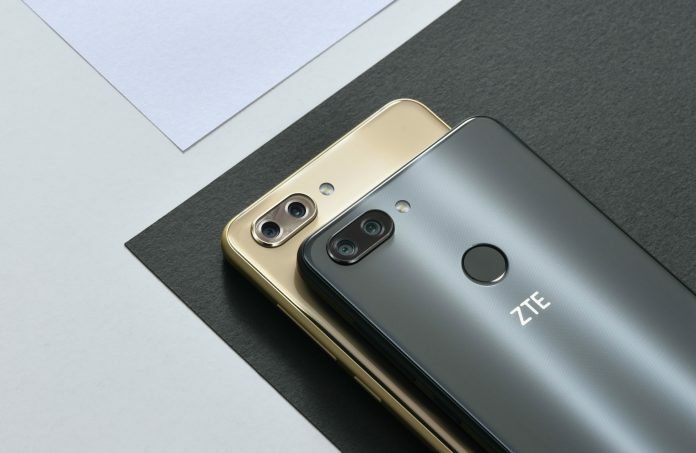 ZTE hasn’t said that either of these phones will come to the United States any time soon but they could arrive under different names. Cricket and MetroPCS would be two likely candidates to offer the Blade V9s.